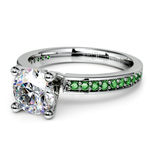 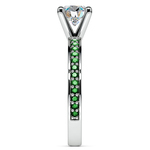 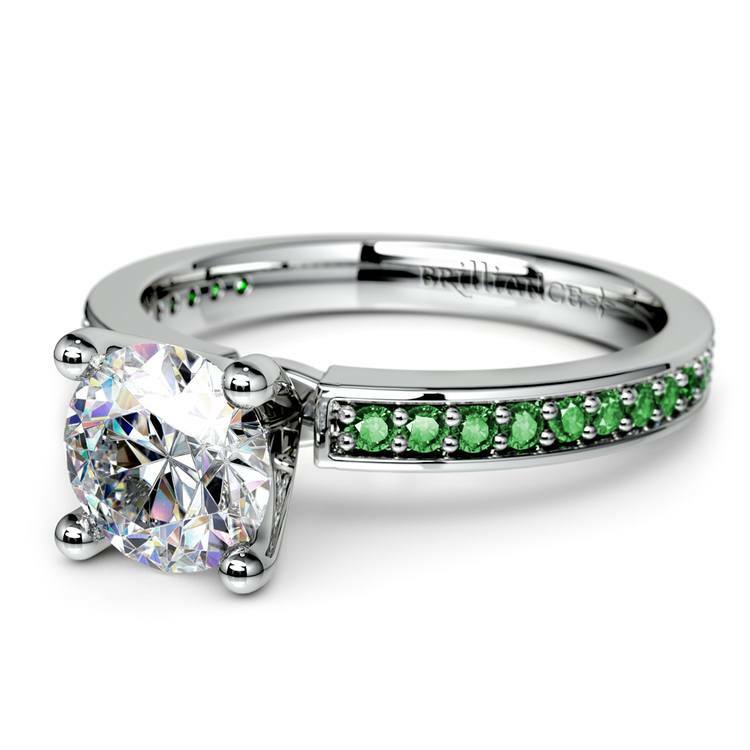 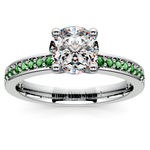 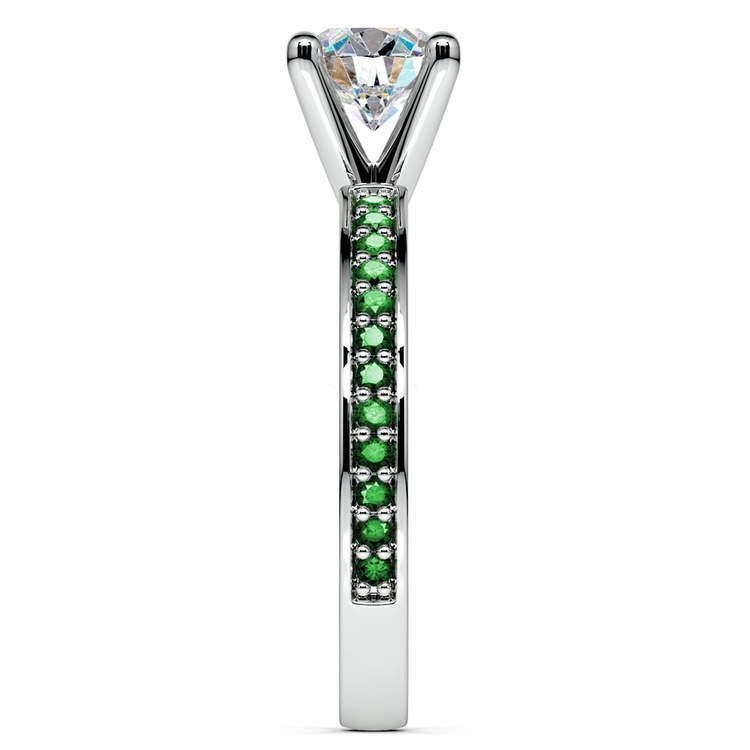 Twenty four round cut emerald gemstones are pave set in this white gold gemstone engagement ring setting. 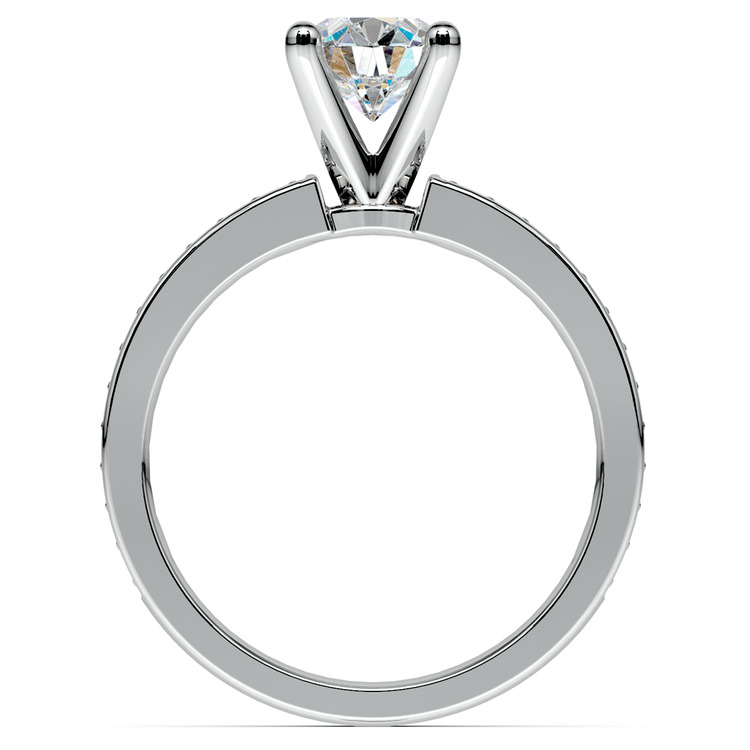 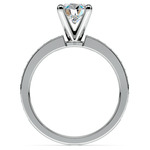 White gold prongs secure your choice of center diamond. Proudly made in the USA.